You are here: Home / Love Speaks / Go To The Toilet: NOW! In my new book, Love Speaks, I teach on 2 of the most common ways that you can hear the voice of God: the “inner witness” and the “inner voice” of the Spirit. Go To The Toilet Now! In February of 1995 I was invited to the United Kingdom to preach and encourage leaders in various places. Having flown all night with very little sleep from Minneapolis to London, I hurriedly collected my luggage at Gatwick Airport and hopped on the first available train to connect to another station which would lead me to Edinburgh, Scotland, for the first leg of my journey. I was scheduled to stay at the home of a very good friend of mine, Iain. Iain was a leader of various ministries, including churches and parachurch ministries, and had invited me to preach on the Sunday at a new church-plant that was forming just south of Edinburgh. I did not realize it at the time, but the Holy Spirit was upon me at Gatwick and I was being watched and followed! So, off I go on a train, heading due north through the English countryside on my way up to Ian and a warm meal and bed in Edinburgh. 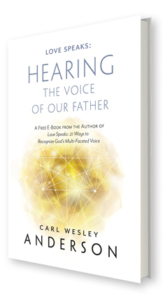 About half-way through the train ride, I felt the inner witness of the Spirit encourage me to get up from my seat and move to the area in-between the train cars, where the toilets are located, to go and worship Jesus in song. I was hungry for the presence of God. I had just settled into about 15 minutes of singing songs of worship when a man appeared from the train car opposite me. He sat down near me and began to stare at me. I felt a little uncomfortable with this; after all, this was not a concert performance! I could notice out of the corner of my eye that he had a thick beard. I noticed he had an American accent like mine, and I began to look closer at his appearance. He was wearing a long, brown cloak with a hood, a brown belt covering his large waste, and had a thick white beard and wild hair. He looked like Gandalf from the Lord of the Rings movies, or perhaps John the Baptist himself. He continued speaking. “I am a graduate of the Brownsville School of Revival. The Lord told me to take along with me a big jar of anointing oil and bring it to Edinburgh. It has been prayed over by the group of intercessors and the prayer teams in the Revival, and the oil is to go to a group of prayer warriors in Scotland for them to use to pray over their soil and anoint it for coming revivals. By this point I sat amazed. Deep inside, I knew that God was in this. I asked him now how he happened to find me on this particular train. “Oh, well, I was sitting in my seat when the Spirit spoke to me by His inner voice, and I felt Him prompt me to go to the toilet. “The Spirit kept giving me a green light in my spirit to go NOW. That was the inner witness. Iain met us at Edinburgh train station, and after a brief introduction, immediately offered John a bed for the night at his home. John then handed Iain this enormous jar of anointing oil and explained it was meant for intercessors in Edinburgh. “Do you know any intercessors?” he asked. Iain then shared that the Holy Spirit had recently led him to begin a city-wide prayer service, gathering over 150 intercessors and prayer warriors from all over Scotland, to begin to pray for revival to break out in Scotland. So the next time God tells you to go to the toilet, you’d better obey the witness! 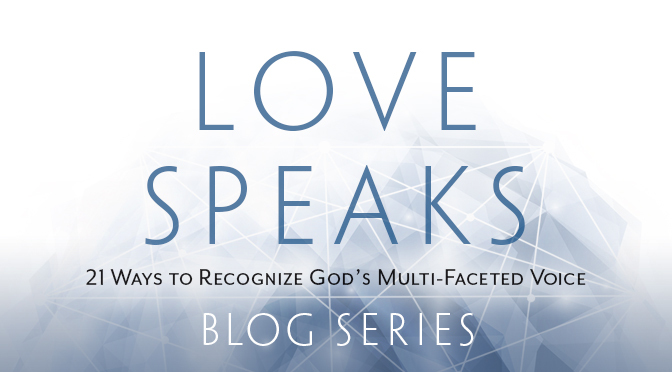 ***This Blog Post is an excerpt from, “Love Speaks: 21 Ways to Recognize God’s Multi-Faceted Voice.” Visit our Official Love Speaks Website to learn more!